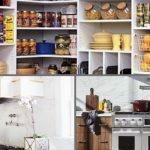 Welcome to our gallery of 35 kitchen design ideas with white, off-white and glossy cabinet colors. 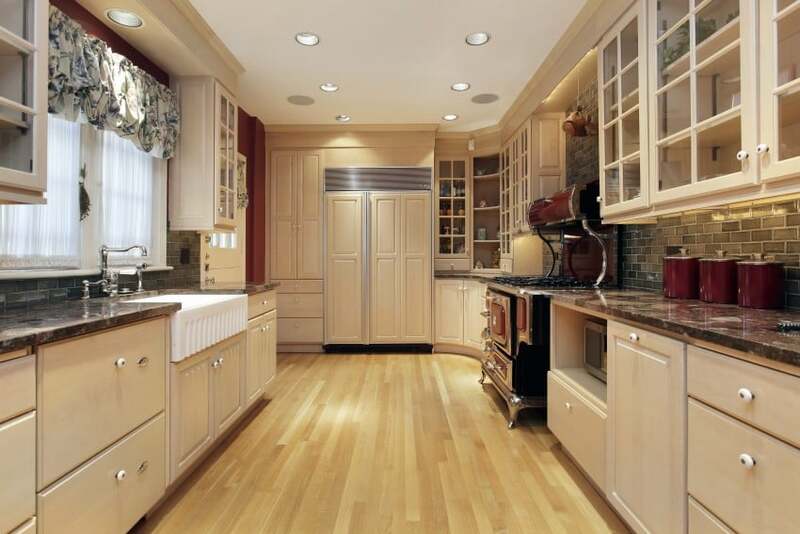 There are so many options to choose from when it comes to deciding the color of your kitchen cabinetry. If you are lost and cannot make up your mind, then you should know that you can never go wrong with white. There is something special about that color that inspires a sense of purity and high class, and best of all – is suitable for any type of interior design. You could go with a classic look with raised or recessed panel doors, or you could opt for a more modern appeal with flat glossy fronts. Or why not something in between – shaker doors are perfect for transitional designs. Even if you want to have a more casual or rustic style kitchen, you can be sure that beadboard panel doors also look great in white. White-colored kitchens do not necessarily need to be plain. 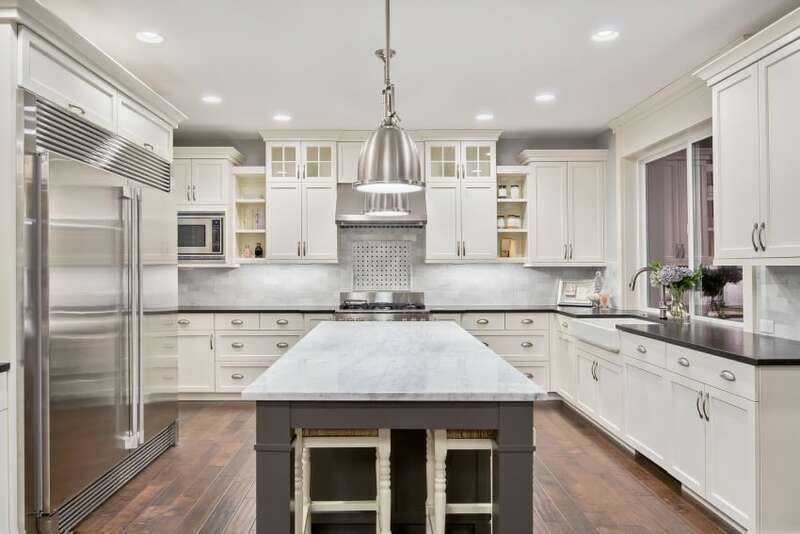 There are many off-white shades to choose from and they can be combined with anything – any type of flooring and wall finish, countertop and backsplash materials, kitchen hardware and equipment. 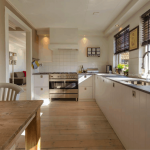 Suitable accessories and interior decorations can also help spruce up your all-white kitchen. Take a look at our collection of inspirational images and see for yourself! This cozy kitchen features white cabinetry and tiled countertops, as well as a full set of modern stainless steel appliances. Hardwood floors add some wood grain and texture to the design. The walls are finished in a matching beige shade. A neutral color palette is always a great choice for any room in your home. The kitchen is no exception. This design proposal right here looks quite elegant and cozy in white and beige. White might seem like a plain color at first, but it could be used to create stunning designs such as this one. 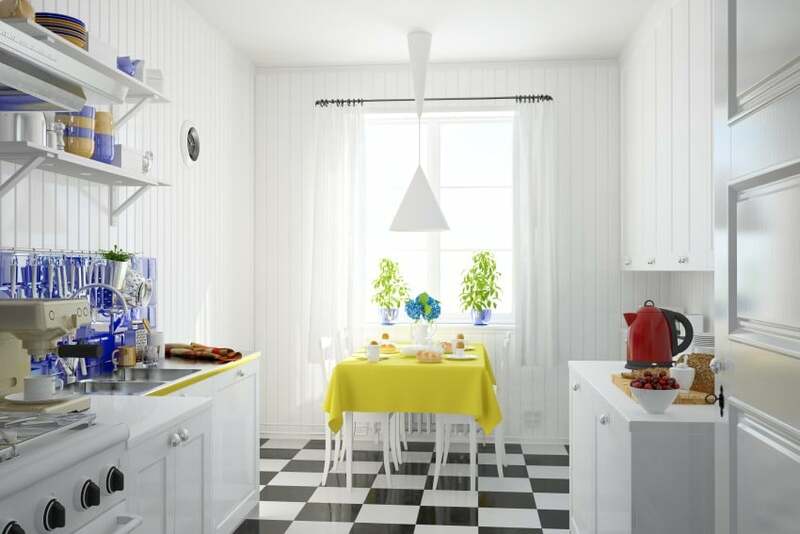 It features a checkered floor in black and white, as well as wall paneling and bright color accents. 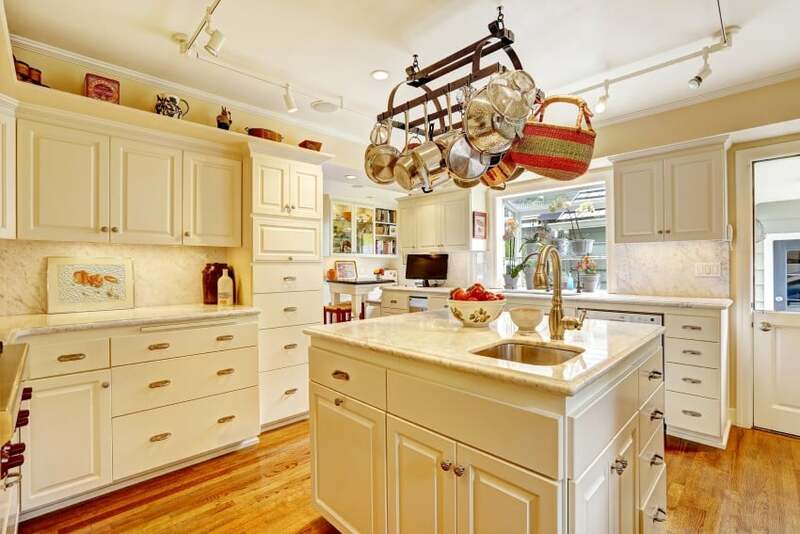 This cozy kitchen in ivory is a fine example of transitional design. It features raised panel doors matched with flat panel drawer fronts. 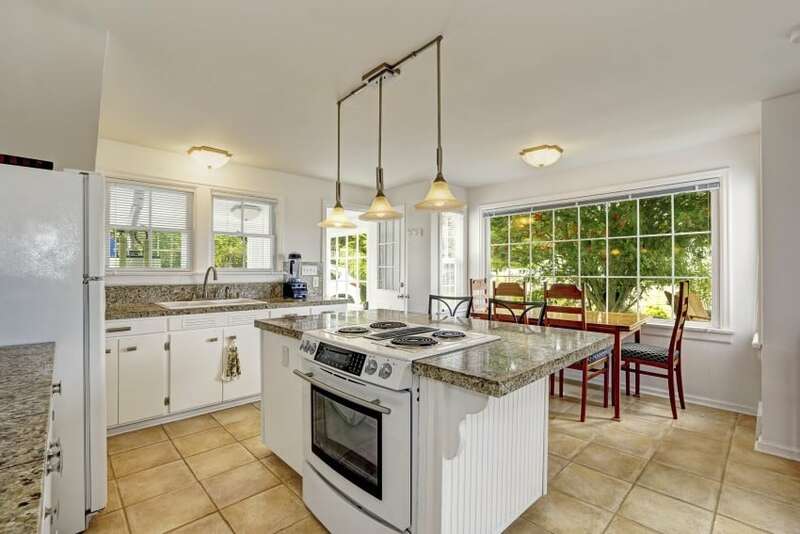 The kitchen counter looks splendid in white granite, and so does the hardwood floor. 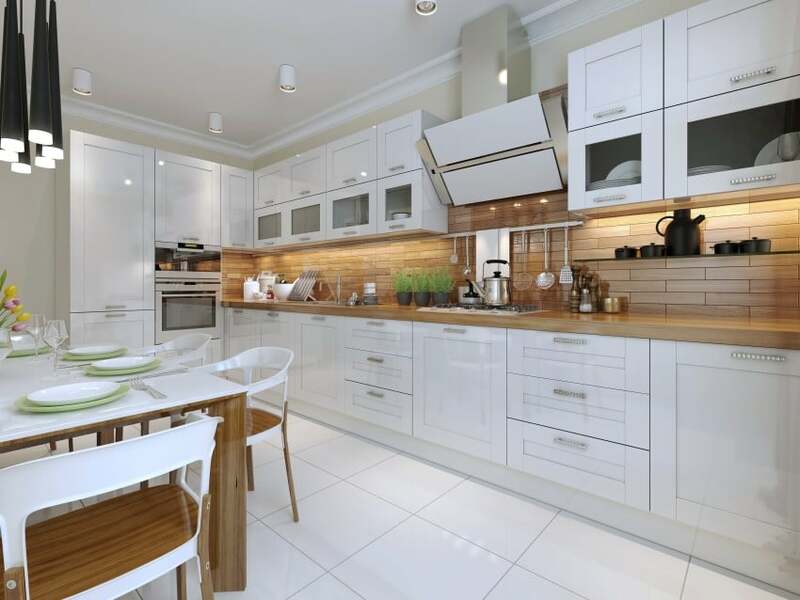 Here is another sleek kitchen proposal in white. 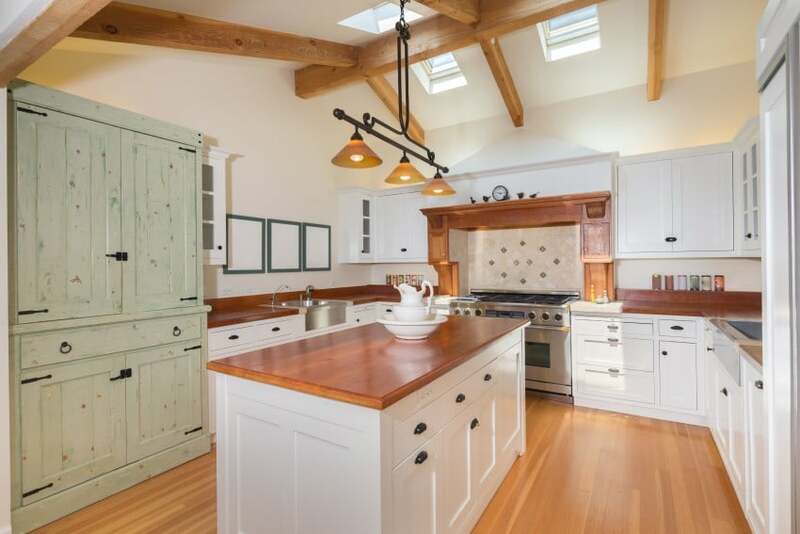 This L-shaped kitchen with an island counter has a casual design appeal with exposed hinges and beadboard details. 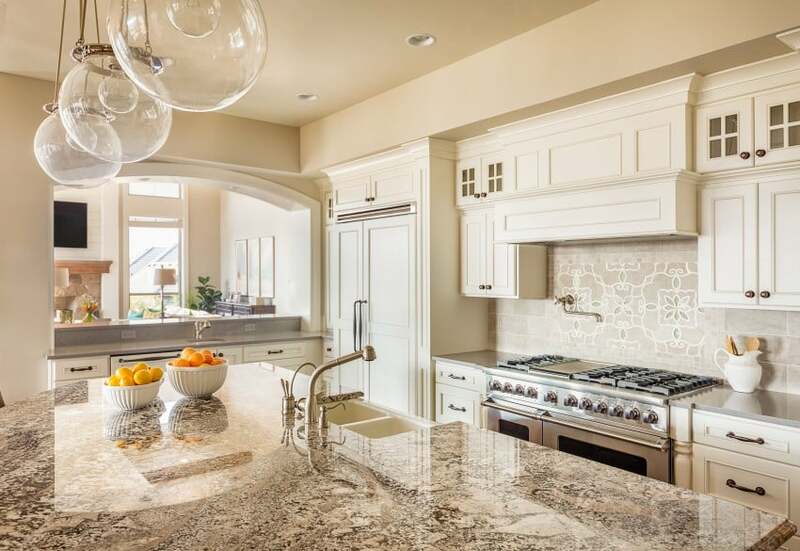 The speckled granite countertop is an elegant finishing touch. 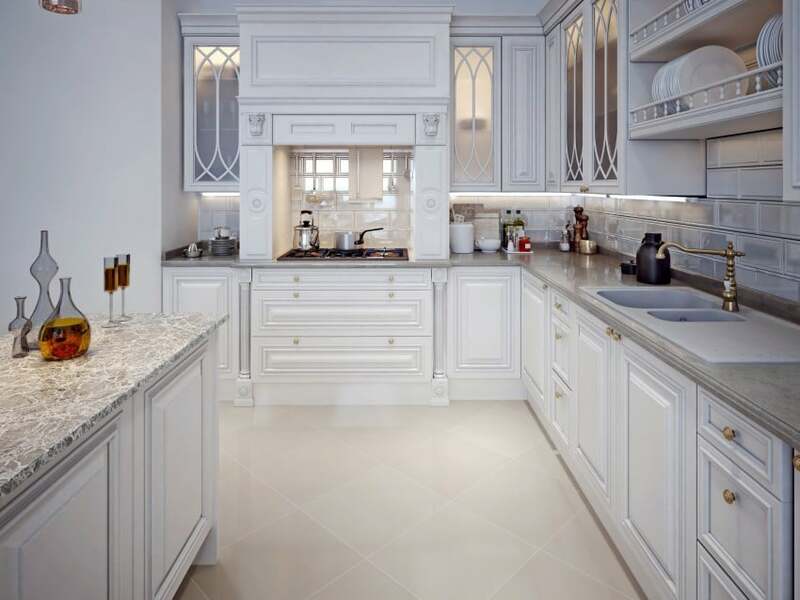 The best thing about white colored kitchen cabinetry is that it goes with basically anything and you could easily turn a plain design into an outstanding idea by just adding some color. Bold red for example may just be the right choice for you. If you are not feeling adventurous and would rather not experiment with color, then an option in white and grey is the way to play it safe. Check out this kitchen design proposal and see how elegant it truly is! White kitchen cabinetry looks great when fitted with raised panel doors as they give some texture and depth to the design. 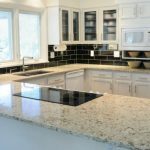 Be sure to also select an elegant edge profile for your granite countertops. That would put a great finishing touch to your design. 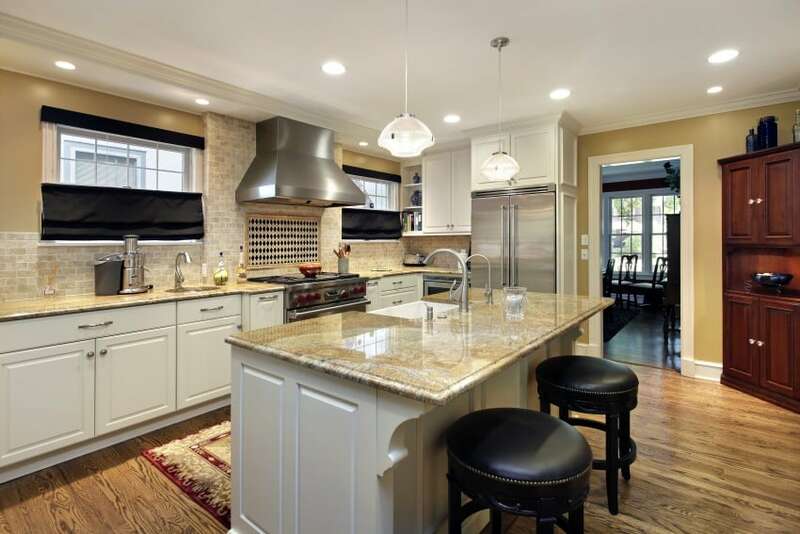 This kitchen design features cream-colored cabinetry with dark granite countertops and brick-tiled backsplashes. 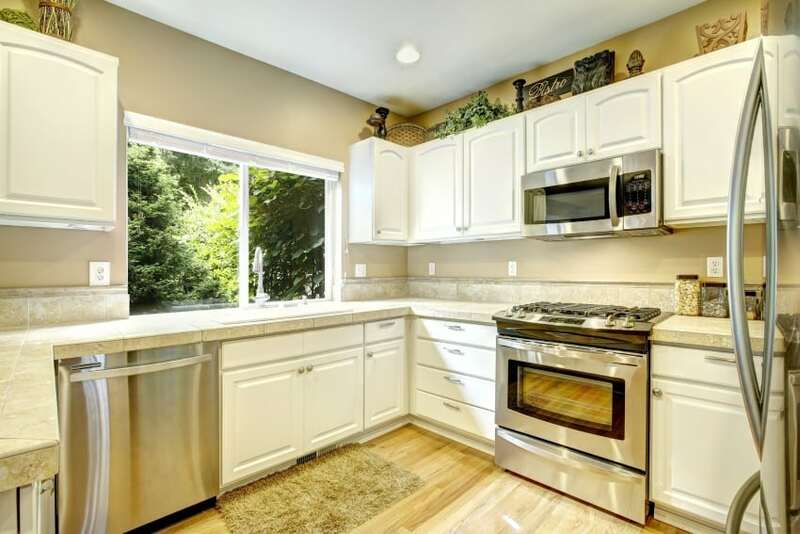 The white porcelain sink is a nice addition, but the range oven is the true gem in the design. It is always a good idea to make your design more varied by introducing different materials and colors in certain areas. 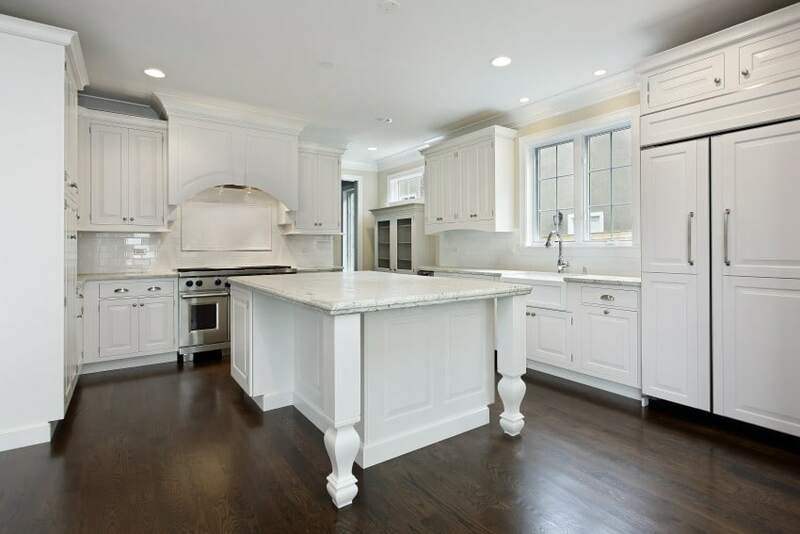 Here for example, the island countertop is finished in white granite as opposed to the black granite worktops throughout the rest of the room. This L-shaped kitchen design idea features all-white cabinetry, granite countertops and subway tile backsplashes. The island counter in the center makes a nice gathering point for the whole family. 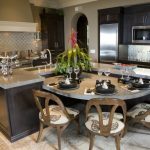 This design features white kitchen cabinetry with dark granite countertops throughout the room with the exception of the island counter which is dark grey and with a white worktop surface. The floor is solid wood and inspires a sense of comfort and warmth. 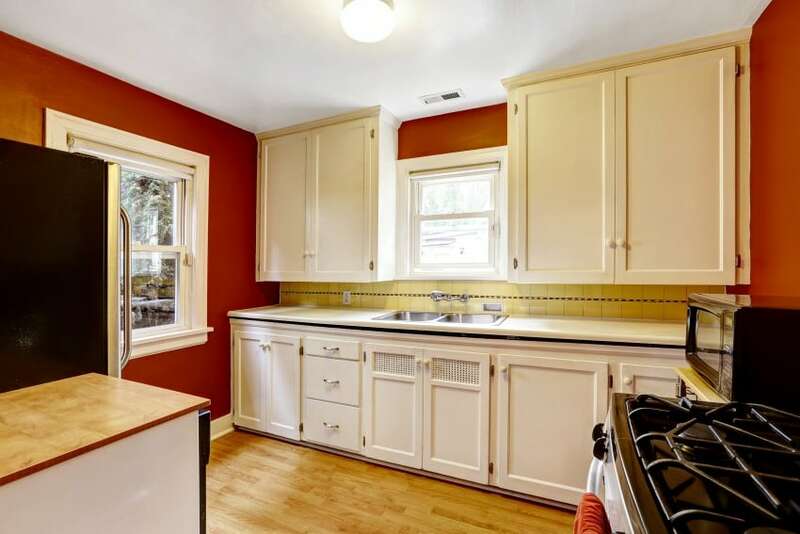 Eggshell colored kitchen cabinets laid against a beige wall is a well-tested recipe for success in kitchen design. Speckled granite and tiled backsplashes are another good choice. The fine selection of beautiful details puts the finishing touch to this elegant design idea. This kitchen has it all – lots of storage space, plenty of worktop area, a large island counter and a great selection of modern appliances. 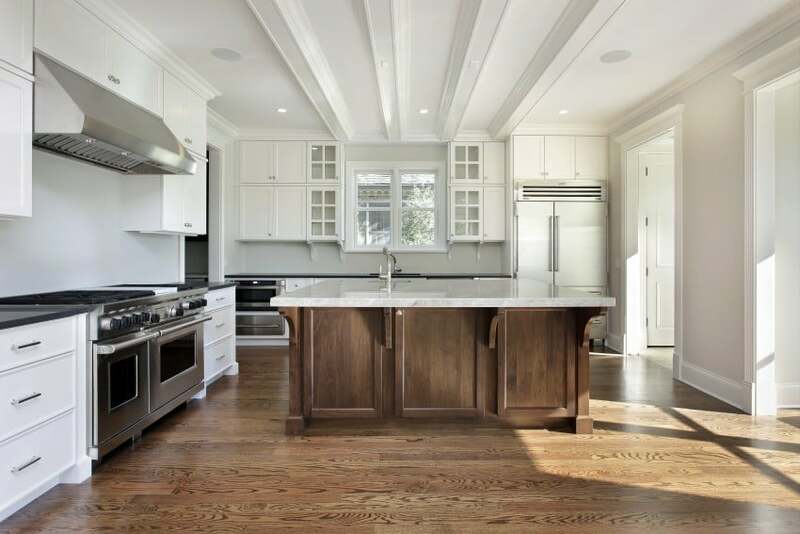 It is also beautifully designed with shaker doors and crown moldings – a great example of transitional design. White color is perfect if you want to achieve a sleek modern appeal. 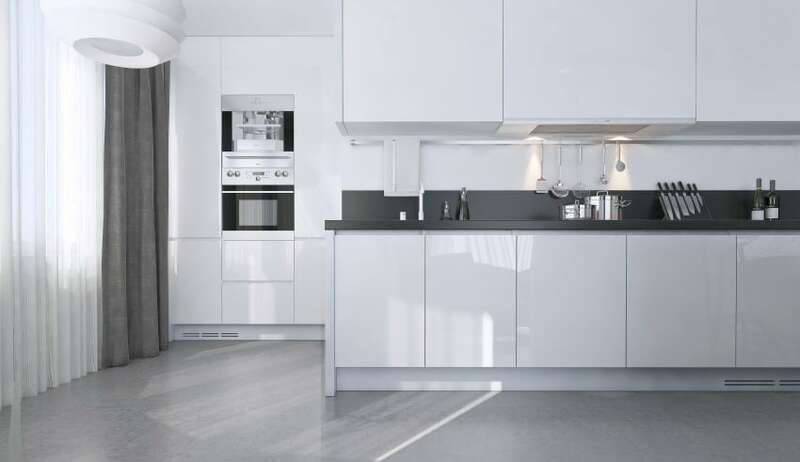 Flat-panel glossy doors are the best choice for a contemporary look, and be sure to hold back on the handles – handleless doors are the latest trend in kitchen design. This kitchen corner with a dining area looks so clean and refined all in white. It is packed with style and filled with light. 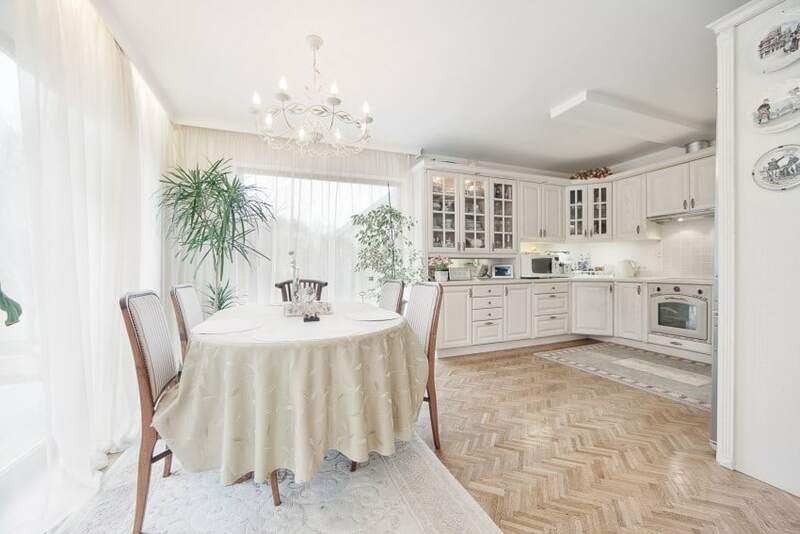 Fishbone parquet flooring makes a nice addition as it adds a touch of vintage appeal to the design. 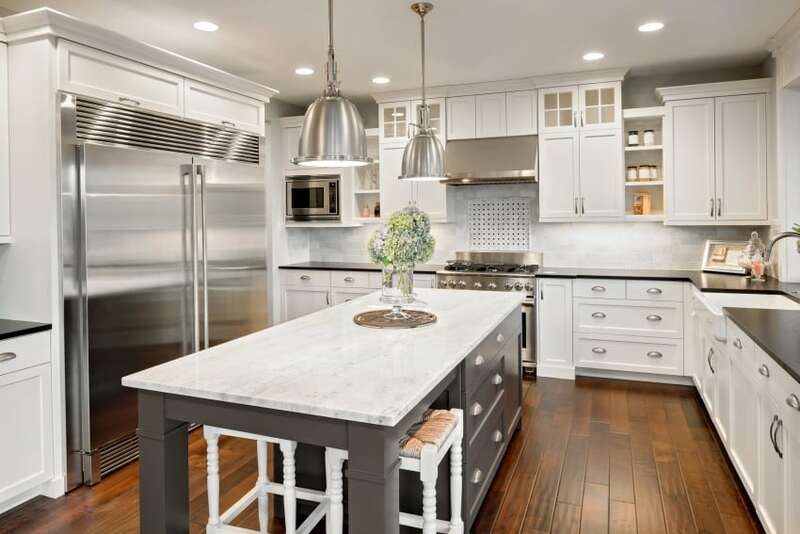 White shaker doors are an all-time favorite choice in kitchen design and particularly suitable for the transitional style, as they look traditional and modern at the same time. 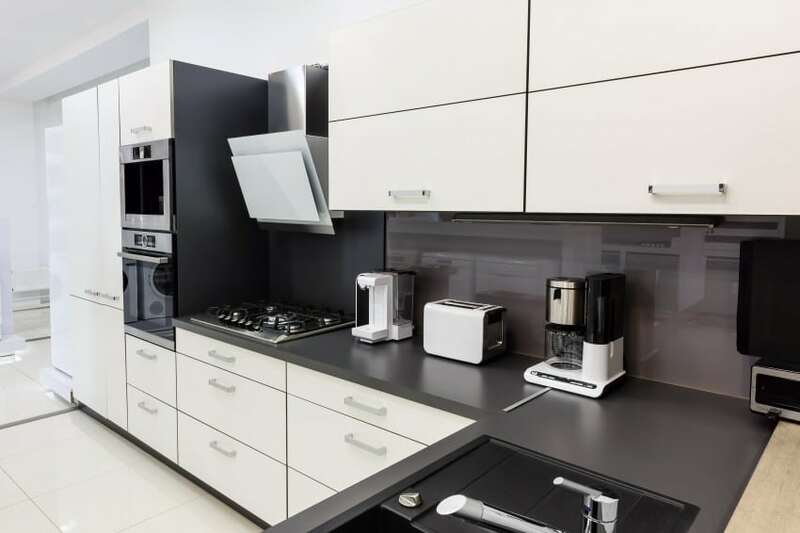 This sleek design also features a dark granite countertop and stainless steel appliances. Here is yet another contemporary kitchen in white. If you are after the sleek modern look that we all love, but do not wish to go entirely handleless, then aluminum profiled handles may just be the right choice for you. This white kitchen proposal offers lots of wood elements that add a touch of warmth and texture to the design. The kitchen is packed with style, equipped with modern built-in appliances and a convenient breakfast area nearby. Here is another kitchen design that does not hold back on wood. 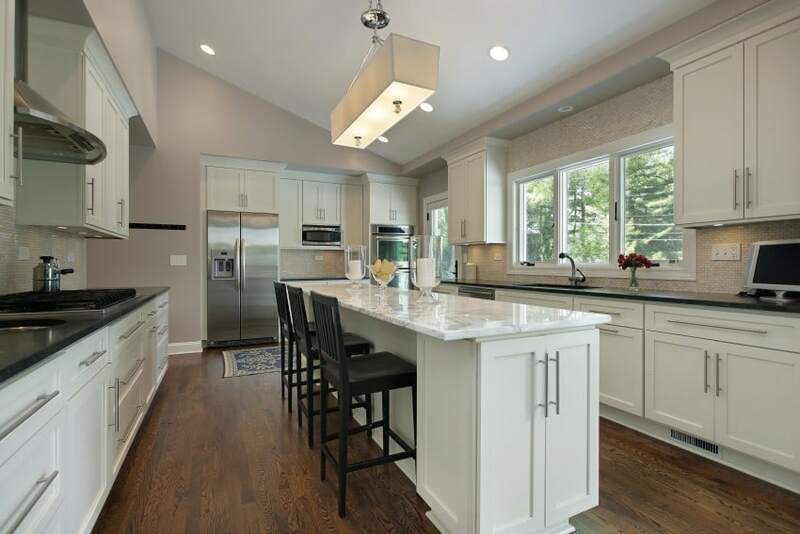 The island counter worktop is beautifully matched with the color of the hardwood flooring and they both go great together with the eggshell-colored kitchen cabinets. This right here is a more casual take on kitchen design. It may look a little plain at first, but do you see how the countertop edge is of a different color from the worktop surface? That certainly makes the design more exciting! 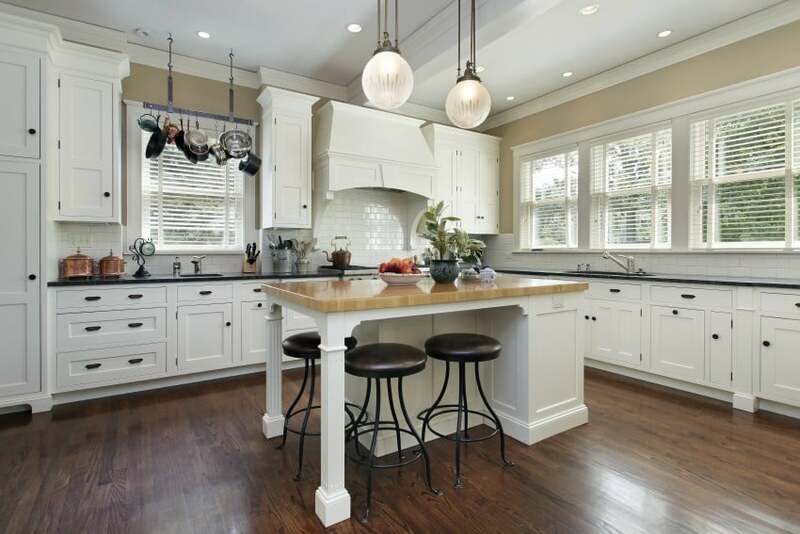 If you are a fan of classic design, you will surely enjoy this luxurious kitchen that is packed with class and style. It has lots of details and decorations that complete its lavish appeal and turn it into a work of art. 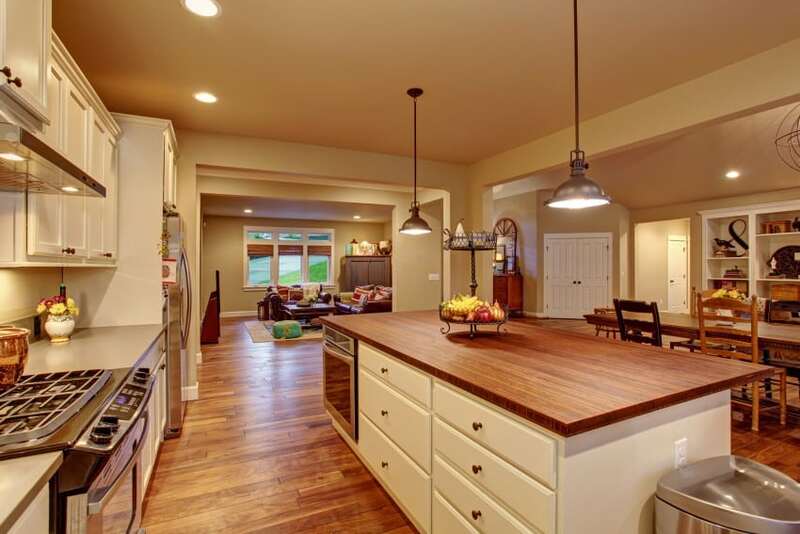 Vaulted ceilings are usually reserved for the more formal parts of our homes such as living rooms, but they can be a great feature in a kitchen, too. Especially when they have skylights in them to fill the whole space with light! Black and white is a timeless color combination. It is a choice that is great for any room and any design style. Look at this modern kitchen proposal and see how wonderful it really is! 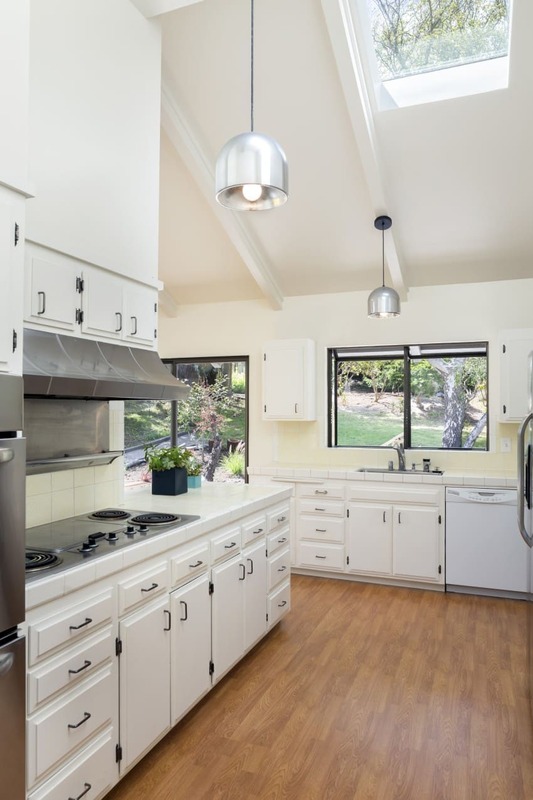 Here is a white kitchen that is rich in wood. 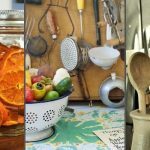 You can find it in the floor and ceiling, as well as in the worktops and decorative details. 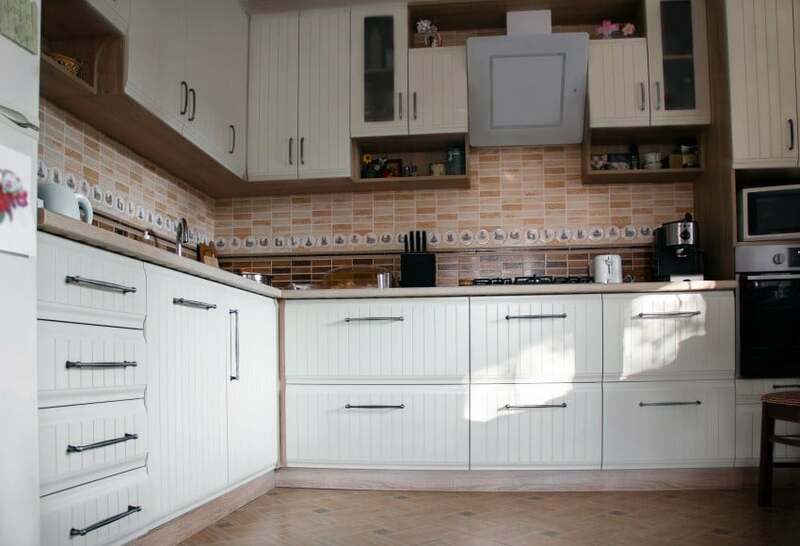 The kitchen furniture is all white with the exception of a tall cabinet that has a contrasting rather distressed look. 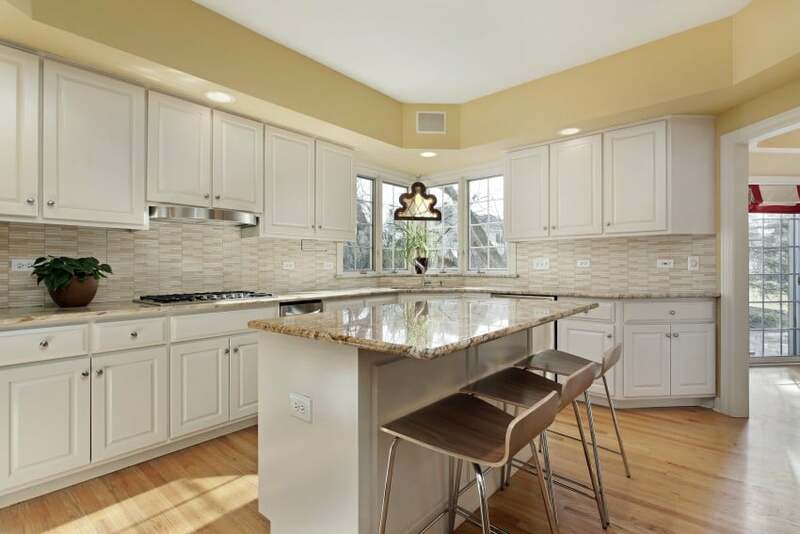 This kitchen features light grey cabinetry, white granite countertops and white tile backsplashes. 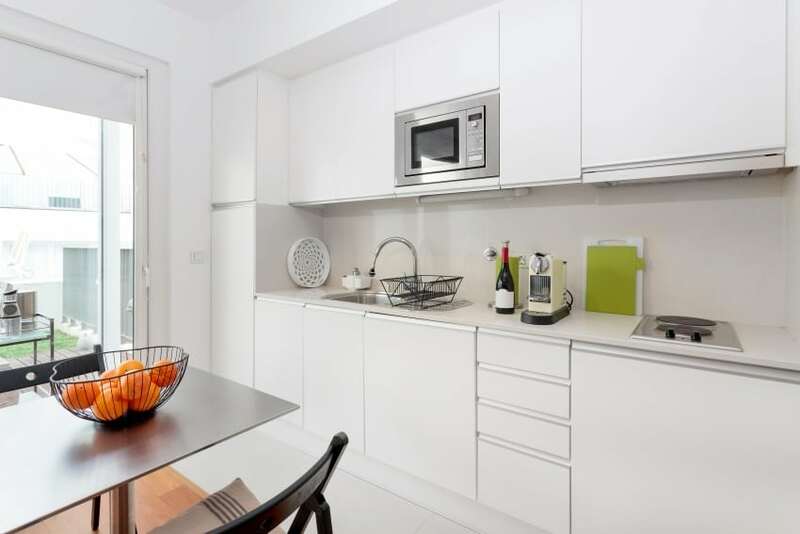 The room is filled with light that is reflected by the shiny stainless steel appliances and polished granite worktops. Here is another white kitchen proposal with hardwood floors and countertops in speckled granite. Brick tile backsplashes add some texture, and are complemented by a decorative detail by the stove. 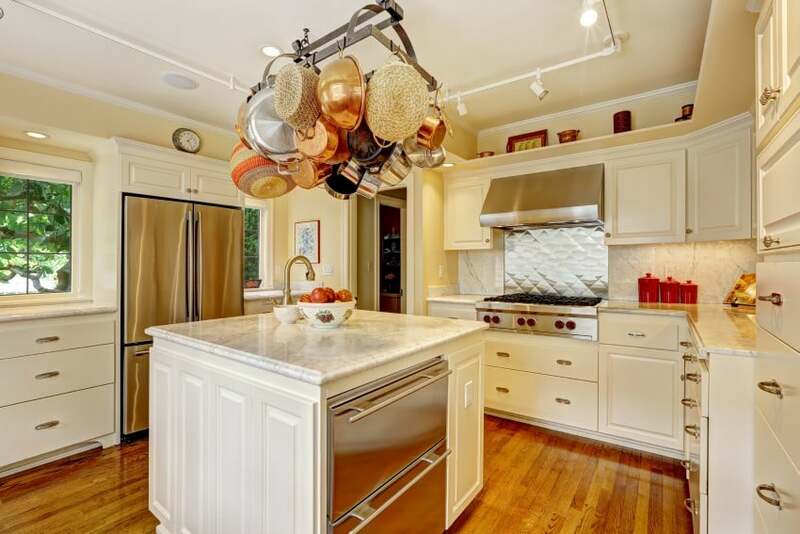 Stainless steel appliances are of course a must in any high-end design. Behold another design idea in black and white. Hardwood floors and ochre-colored walls make the design more varied and inspire a feeling of comfort and warmth. 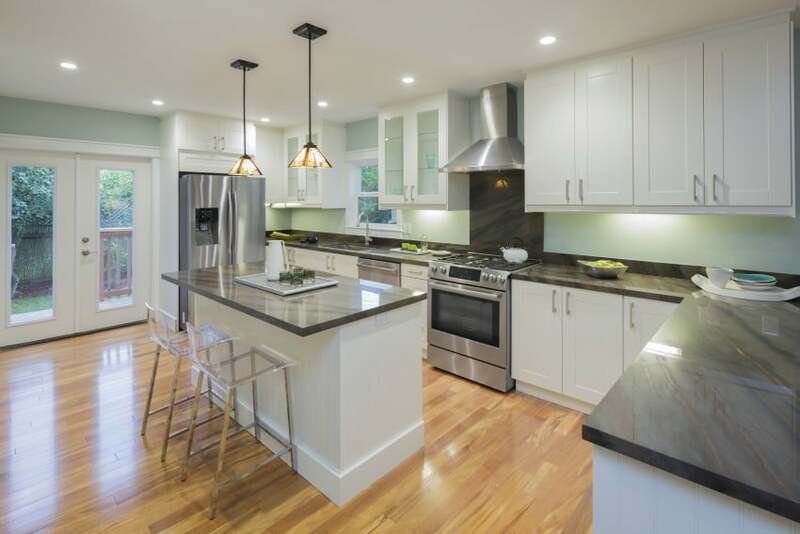 Recessed lights and stainless steel appliances add a touch of modern appeal to a traditional design. This kitchen design is quite simple, but practical and appealing. It is set in white and grey atop a dark hardwood floor. A wine rack beside the refrigerator is a nice addition to the design, and so is the bar counter that can seat up to three people. 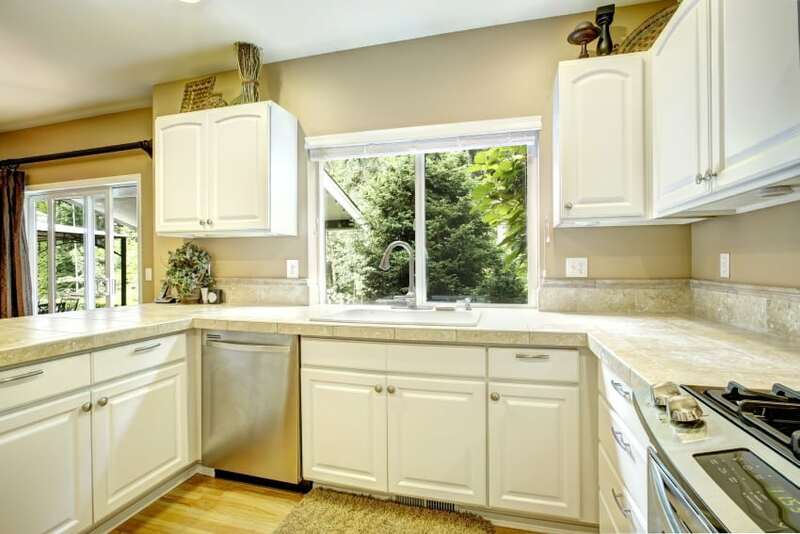 Here is another white kitchen with speckled granite countertops and tiled backsplashes. This one has a hardwood floor and ochre-painted walls that add a dash of color. 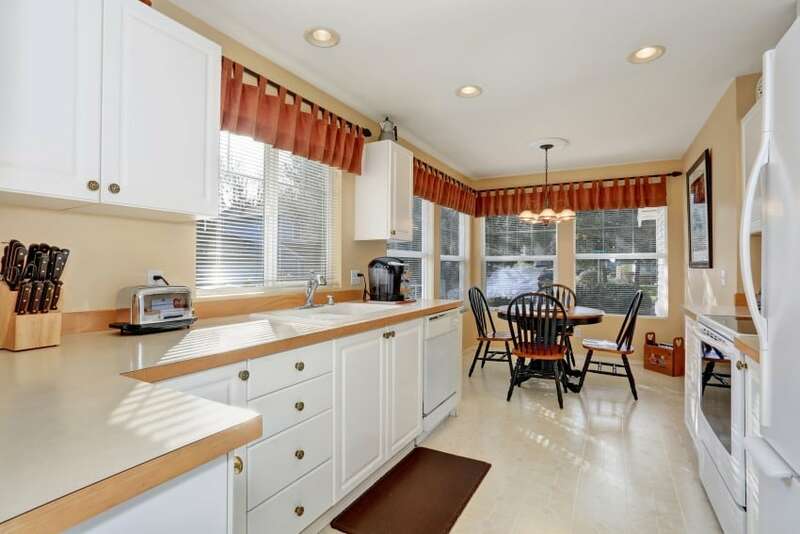 The kitchen is equipped with built-in appliances and a corner sink by the windows. 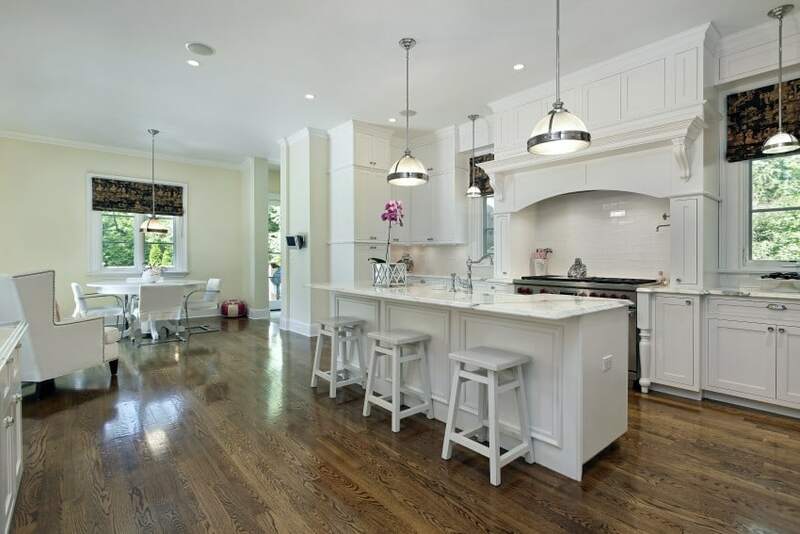 This transitional design features an L-shaped kitchen with an island counter with stools. 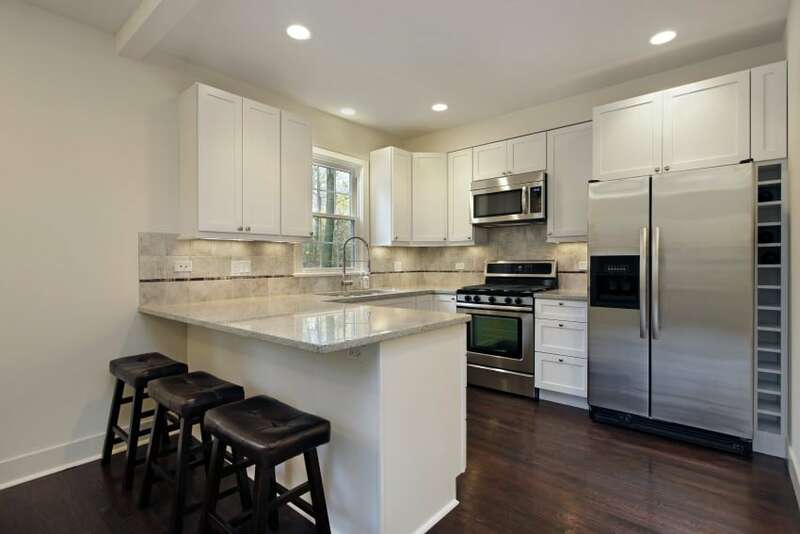 White cabinetry is matched with black granite countertops and subway tile backsplashes. Shaker doors and crown moldings put the finishing touch to the design. 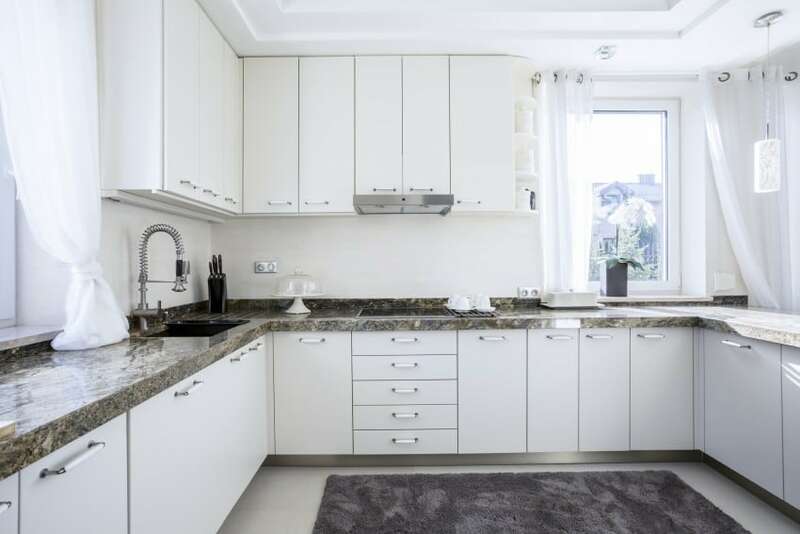 This white kitchen with black countertops is spacious and luxurious. 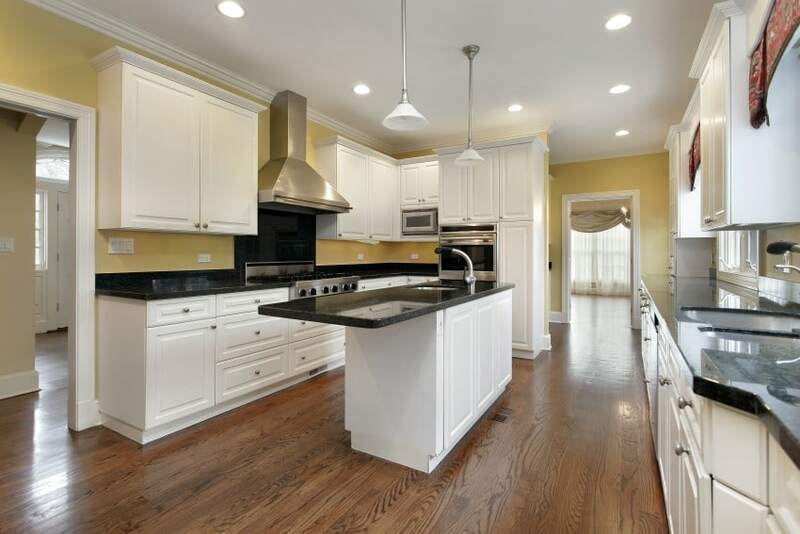 It is equipped with stainless steel appliances and has a dark wood island counter that matches the hardwood floor and makes a great centerpiece in the room. Here is a casual L-shaped kitchen corner with a rustic appeal. 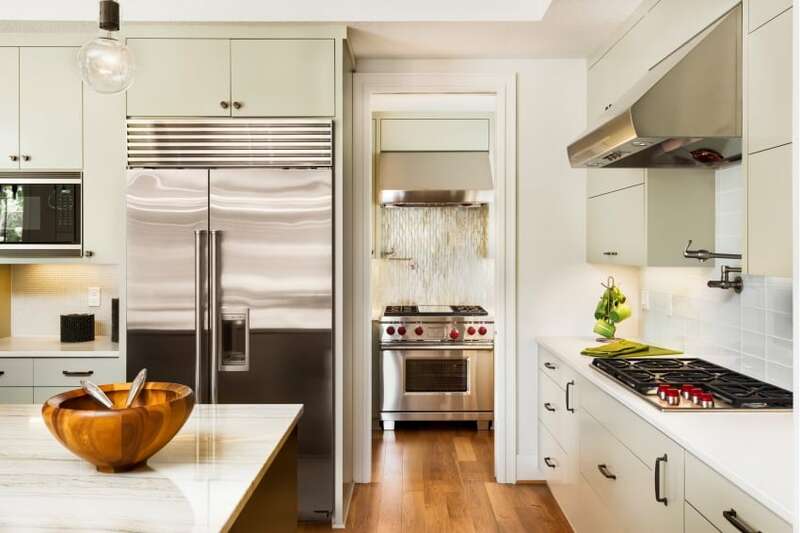 It features white beadboard panel doors, laminate countertops and a tiled backsplash in brown and orange. It looks cozy and inviting even though it is not too fancy or refined. A white kitchen that is filled with light always is a nice place to be. Add a cushioned bench by the windows and you would not even want to leave it! This casual design features lots of white, plenty of wood and some beautifully vibrant color accents.